Still from Albatross (2017). © Chris Jordan. 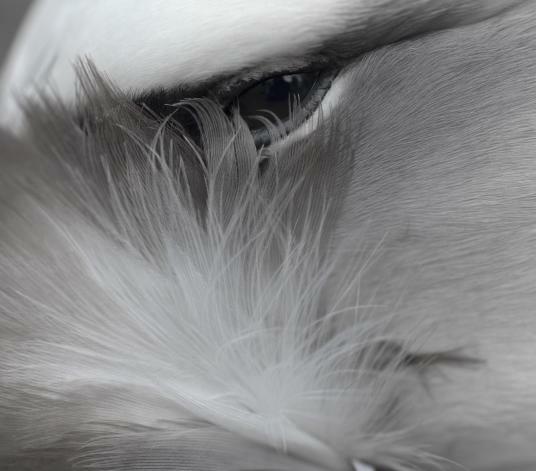 Join us for a special screening of Albatross (2017)—a stunning visual journey exploring the consequences of plastics pollution in the ocean through the eyes of the albatross population on Midway Island in the North Pacific. Following the screening, filmmaker Chris Jordan will be in conversation with Robin Kelsey, dean of arts and humanities and the Shirley Carter Burden Professor of Photography at Harvard University; Matthew Potts, associate professor of religion and literature and of ministry studies at Harvard Divinity School; and Jim McCarthy, the Alexander Agassiz Professor of Biological Oceanography in the Department of Organismic and Evolutionary Biology at Harvard and former president of the American Association for the Advancement of Science. Terry Tempest Williams, writer-in-residence at Harvard Divinity School, and Sam Myers, director of the Planetary Health Alliance at the Harvard University Center for the Environment and principal research scientist for the Planetary Health, Exposure, Epidemiology, and Risk Program in the Department of Environmental Health, will moderate the discussion. Their discussion will explore territory we sometimes avoid: in witnessing environmental degradation and its consequences, what is the role of grief? What does it mean to “bear witness”? As scientists and scholars, is our emotional reaction to the degradation of nature relevant to our work? How do we acknowledge emotional ties to nature, even reverence for nature, while retaining scientific objectivity in our work? Is it even possible to activate the change we need without acknowledging the moral and emotional dimensions of what we are witnessing? Co-sponsored by the Planetary Health Alliance, Harvard T.H. Chan School of Public Health, Harvard University Center for the Environment, Center for the Study of World Religions, Harvard Divinity School, and the Harvard Art Museums. Free and open to the public, but seating is limited and registration through the Planetary Health Alliance is required. Please register here.